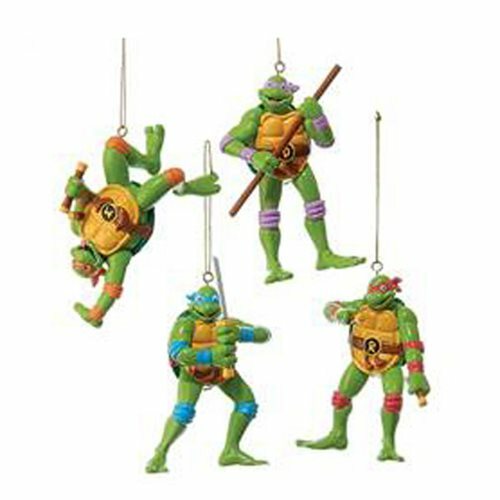 The mutated adolescent assassin turtles that everyone knows and loves are here as radical Christmas tree decoration! This Teenage Mutant Ninja Turtles Retro Ornament Set includes Raph, Mikey, Donny, and Leo, all looking like they just came out of their original Teenage Mutant Ninja Turtles TV series. Each ornament measures between 3 1/4-inches and 4-inches tall! Ages 14 and up.